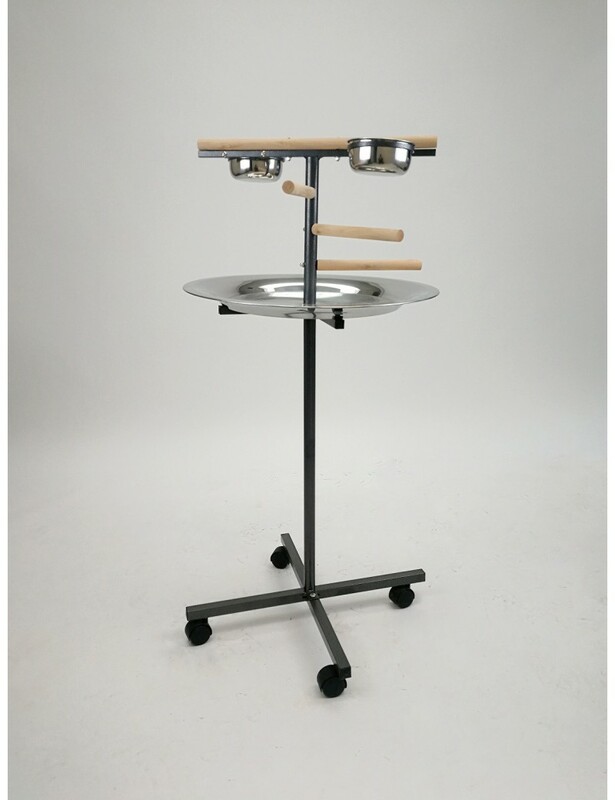 - This parrot stand is made of wrought iron, and it comes with sturdy non-toxic powder coating which is guaranteed safe for the bird, and easy to clean. - The parrot stand is easy to be carried around, so you can have you bird around you even while you are cooking or watching TV. - The parrot stand comes with 1 main perch and 3 wooden stepping perches so the bird can go up and down easily. 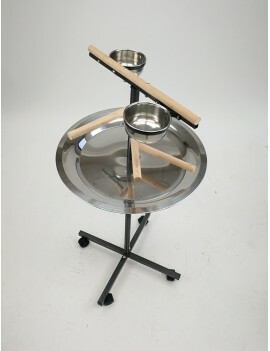 - The parrot stand comes with 2 stainless steel feeding bowls so the bird can eat and drink without going back to the cage. 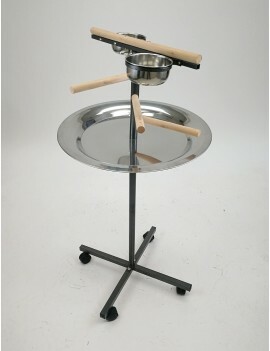 - The parrot stand comes with a round stainless steel tray that can catch all the mess while the bird is sitting on the perch, and the smooth surface of the tray makes it very easy to clean. 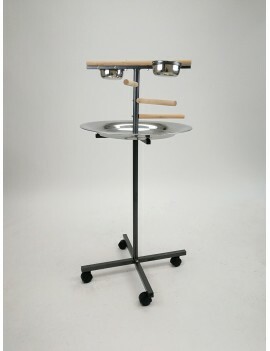 - The parrot stand comes with 4 plastic casters for easy moving around. - The parrot stand is suitable for medium parrots like conure, quaker, caique, senegal, amazon, african grey, etc.